When playing Yu-Gi-Oh, your deck's construction determines your chances of victory. Monsters in particular are the backbone of any assortment. As a quick review, Level 4 and below monsters can be summoned without sacrifice, Levels 5-6 require one monster to be tributed, and Levels 7-12 require two sacrifices. To determine the Level of your card, simply count the number of orange stars in the upper-right corner. Today, we'll examine six formidable Level 9 gargantuans; these beasts are surprisingly scarce, and they take considerable effort to summon, but their impressive power more than compensates for the tributes. 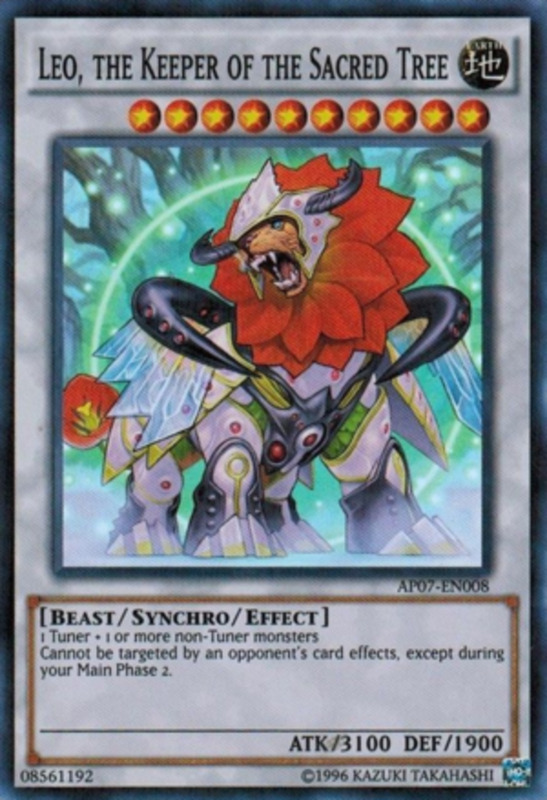 First, a Fusion Monster - you'll need to use the Spell card Polymerization or one of its variants to wield this beast. 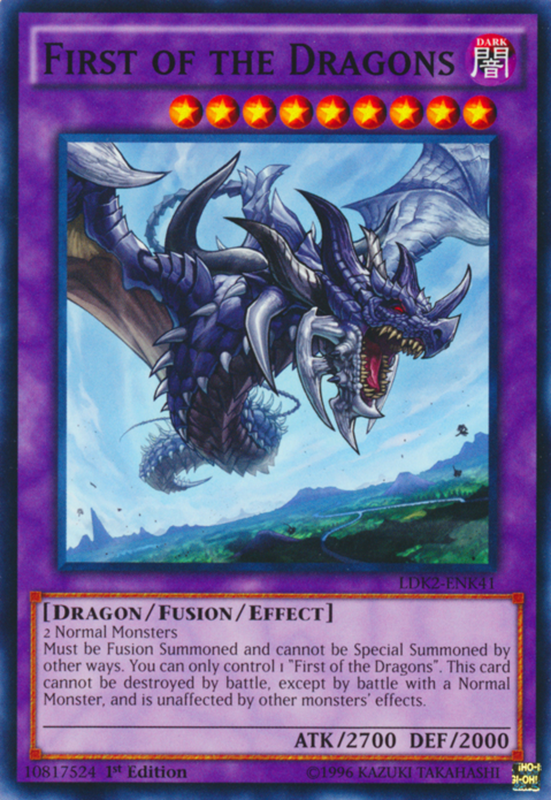 Fusion Summons normally require specific monsters to be used as materials; First of the Dragons is easier because its materials are any two normal monsters, which are simply monsters without effects. This monster wields good Attack, solid Defense, and two helpful effects. First, it cannot be destroyed in battle, except by a normal monster. Second, it is unaffected by monster effects. These two abilities make this dragon quite difficult to get rid of, as few normal monsters can best it in combat. If you're looking for an accessible behemoth immune to several removals, you can't go wrong with First of the Dragons. 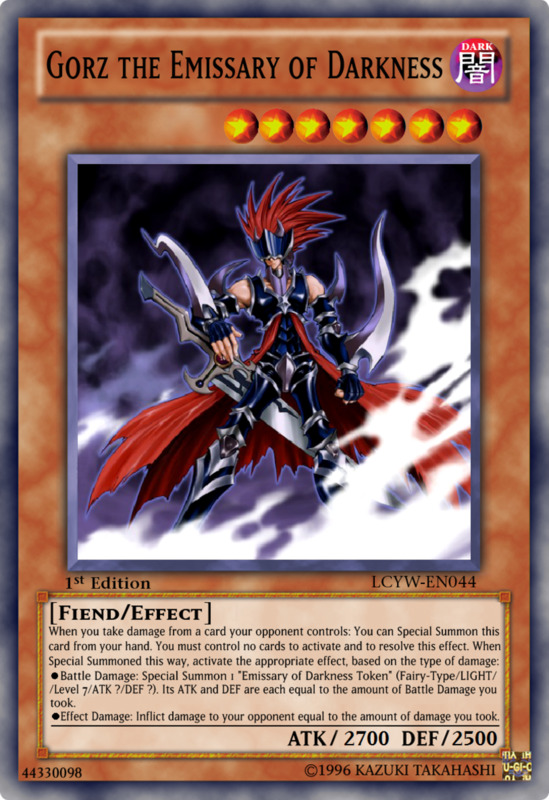 Kozmo Dark Eclipser aids any deck, but works especially well in ones utilizing the "Kozmo" monster set. Dark Eclipser has superb Attack, good Defense, and several helpful abilities. 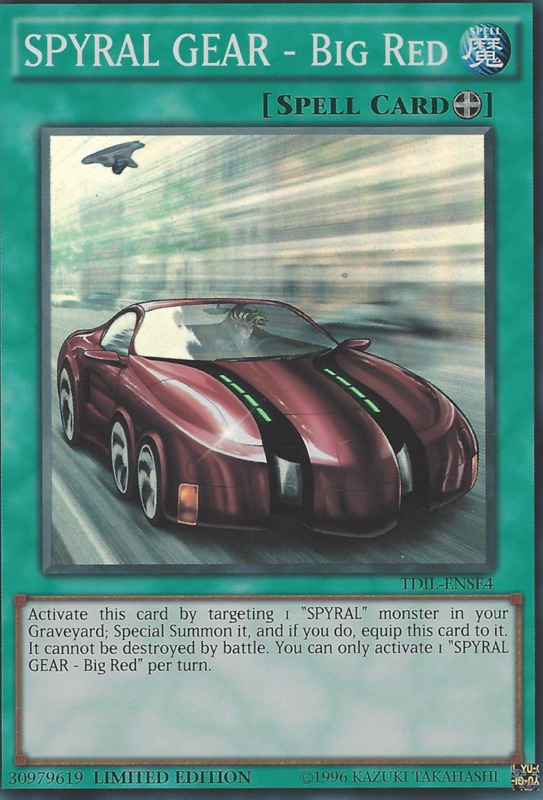 First, it cannot be targeted by an opponent's card effects, a spectacular defensive trait. Next, it allows you to banish one "Kozmo" monster from your Graveyard (discard pile) to negate a Trap card. 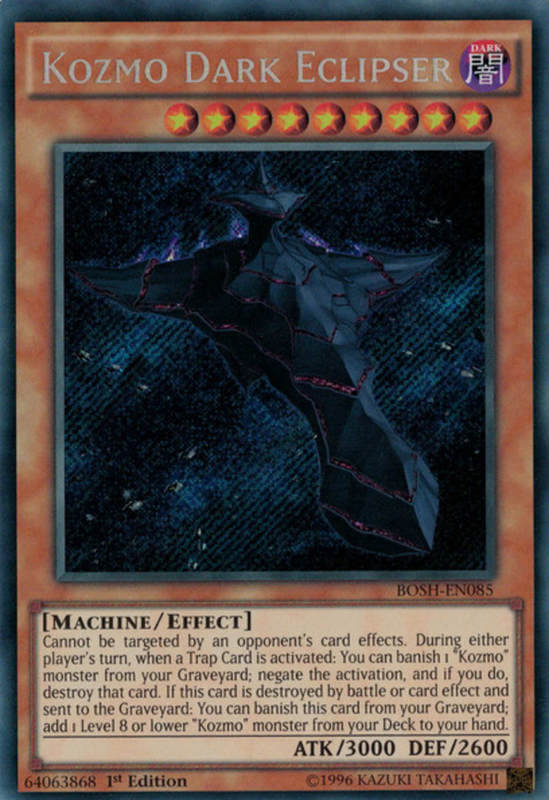 Finally, when destroyed, Dark Eclipser allows you to banish it, then add one Level 8 or lower "Kozmo" monster from your deck to your hand. In short, Dark Eclipser should go in any "Kozmo" deck, and fits in some non-Kozmo ones as well. 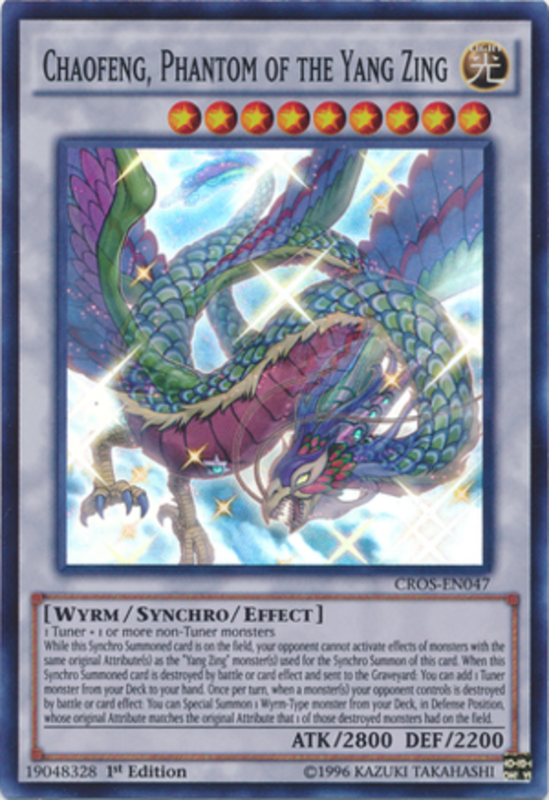 Since all Yang Zings are Wyrm-Type, this final effect helps you summon them rapidly from your deck, conserving the cards in your hand. The unfortunately named Moisture Creature has a potent effect: If you tribute three monsters to summon it, destroy all Spell and Trap cards on your opponent's side of the field. Three tributes aren't always easy to accumulate, but Pendulum Summoning can help, and very few cards allow you to wipe out your opponent's entire Spell and Trap set so easily. Plus, Moisture Creature has great Attack and even better Defense. 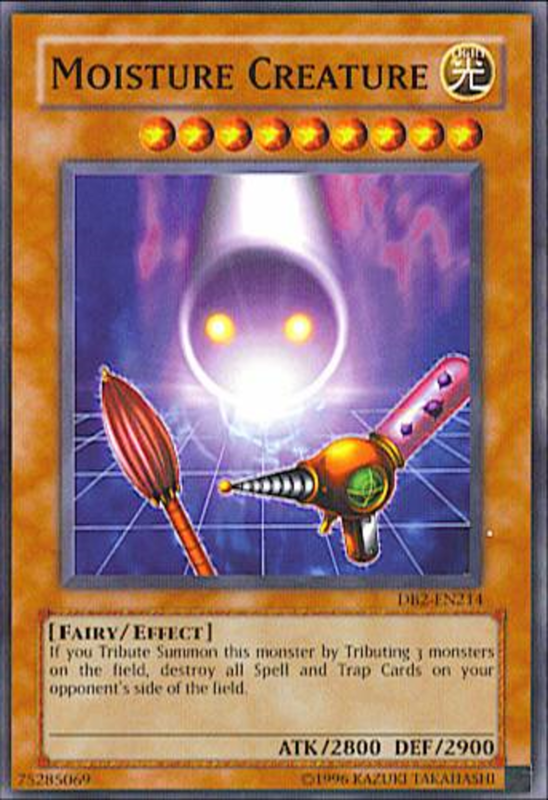 Also, you can still summon this card with two sacrifices; you just won't get the Spell/Trap destruction. Strong, versatile, and a deadly effect - what's not to like? Other than the name, of course. All four of these effects are awesome, and your ability to choose which to activate grants this monster amazing versatility. Factor in a decent Attack and great Defense, and you can easily see Pot of the Forbidden's potential. What else can I say? 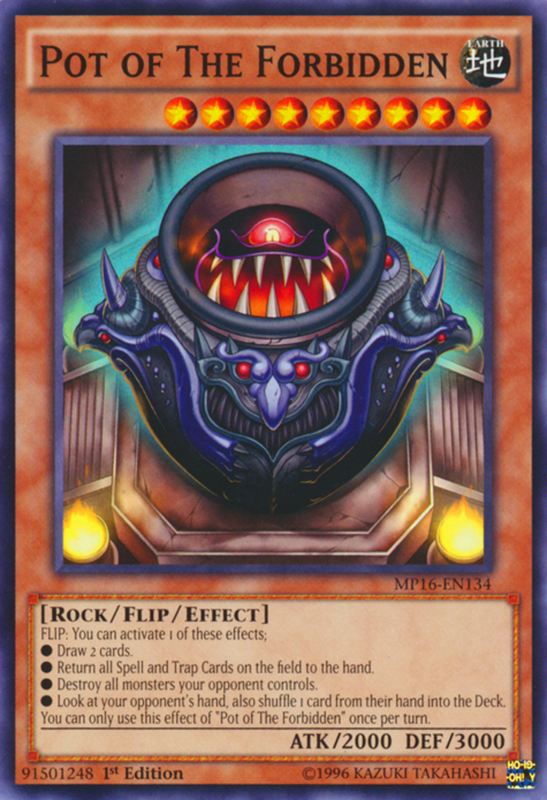 Pot of the Forbidden is an awesome card that works well in several decks. 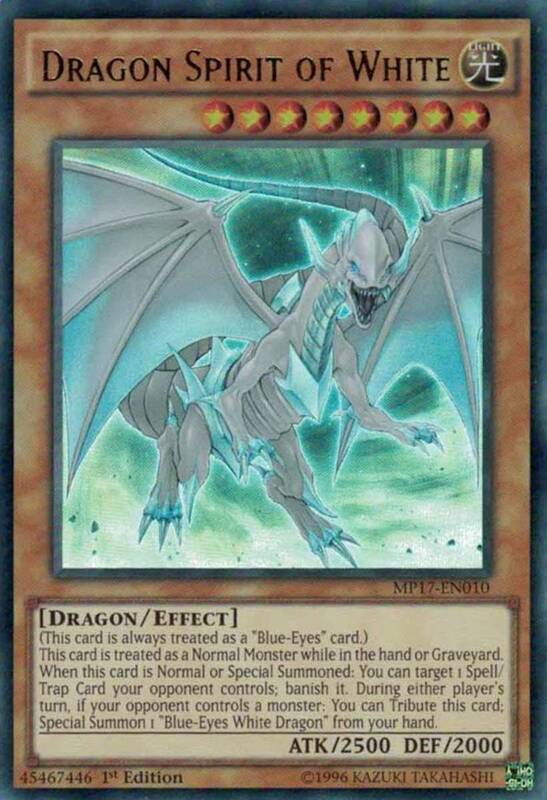 Trishula, Dragon of the Ice Barrier is technically part of the "Ice Barrier" set of monsters, but its effects have nothing to do with them, so you can use effectively as long as your brandish tuners! The one challenge: you need one tuner and two or more non-tuners, so at least three total monsters are required instead of the usual two. 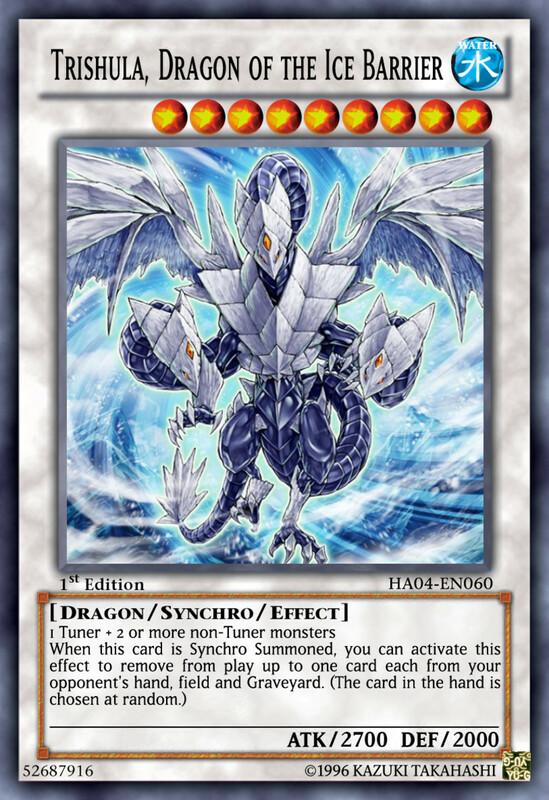 Nonetheless, when Trishula is Synchro Summoned, its awesome effect activates: You can remove from play one card on the field, one from your opponent's Graveyard, and a random card from their hand. From the get-go, Trishula serves as a removal, reduces your opponent's hand, and eliminates a card in their Graveyard, limiting their recovery options. 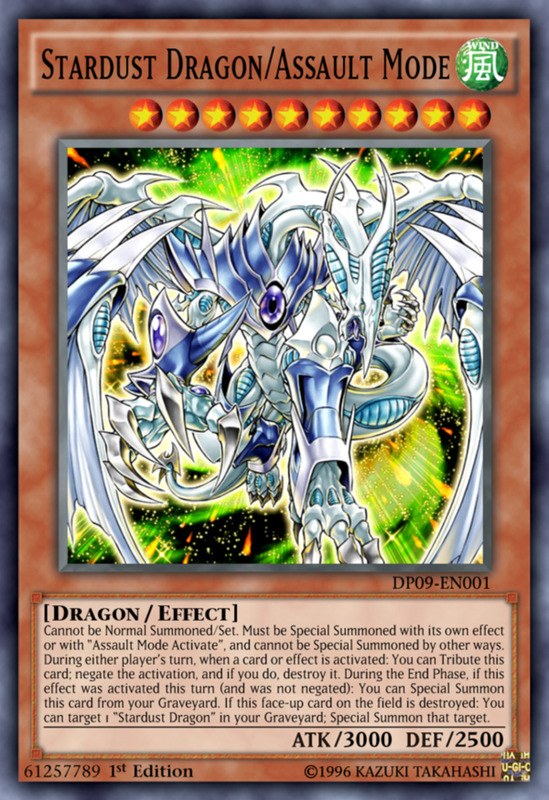 Beyond that, Trishula has strong Attack and decent Defense, so it's no slouch in battle either. 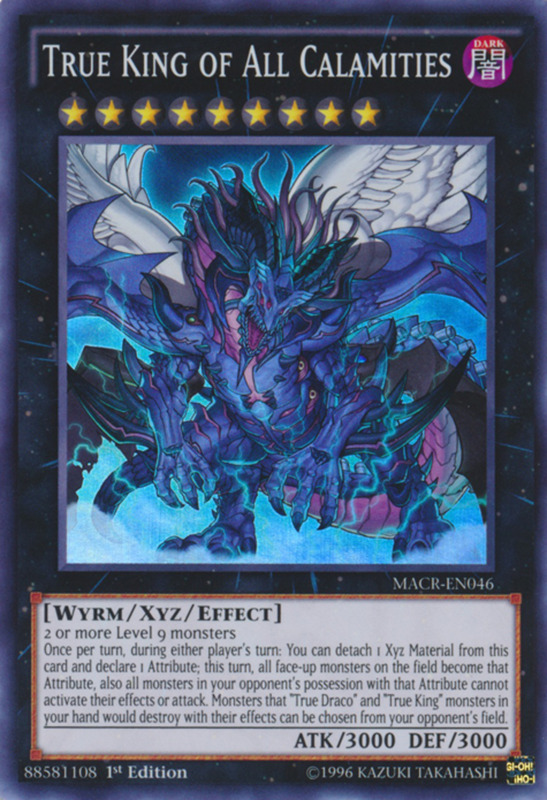 For its game-wrecking abilities, Trishula works great in any Extra Deck, and has flirted with the Forbidden and Limited lists in official play. Hopefully you've enjoyed examining the best of the rare and powerful Level 9 monsters! Let me know which is your favorite, and I'll see you at our next card review! If you'd like to see the next Level up, check out the six best Level 10 monsters! Thanks! 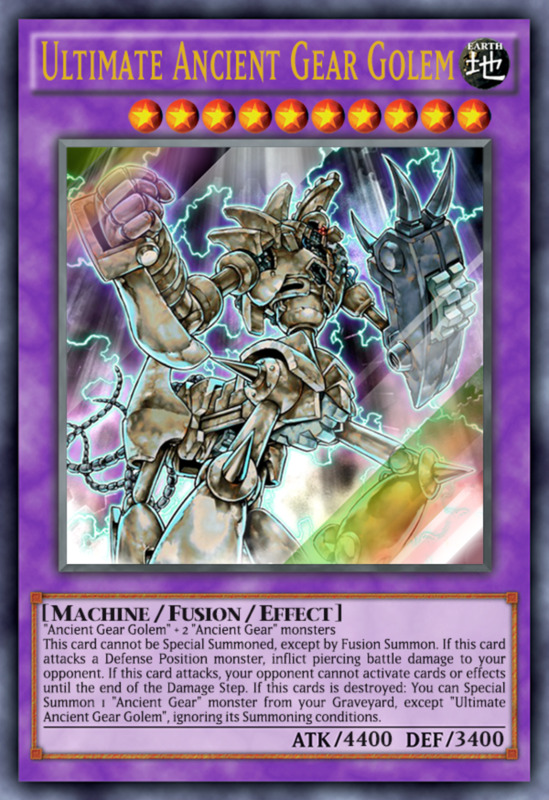 I'm also glad we're still seeing new Fusion monsters, so they're still a competitive option.